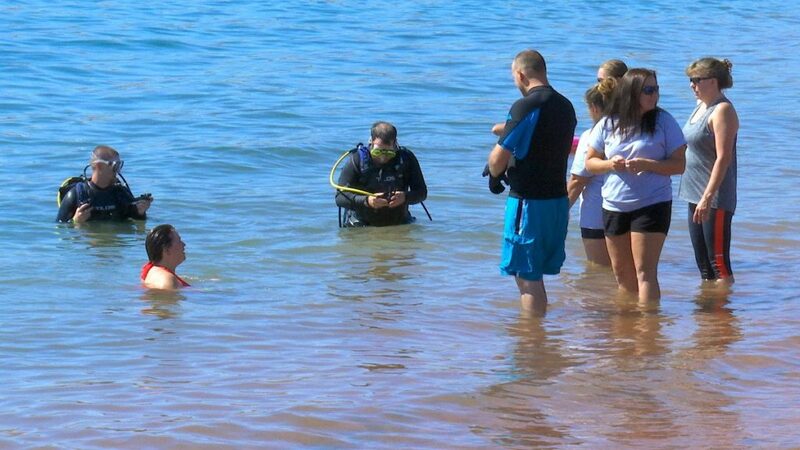 SAND HOLLOW STATE PARK — The proceeds from a diving challenge Saturday are earmarked to pay for certifying disabled veterans in scuba diving, a sport known to help with physical or emotional challenges some veterans face. The “Ultimate Diver Challenge” raised hundreds of dollars to help veterans with physical or emotional disabilities re-enter society. The proceeds will fund scuba diving certification for disabled veterans and crew packs at no cost to the vets. 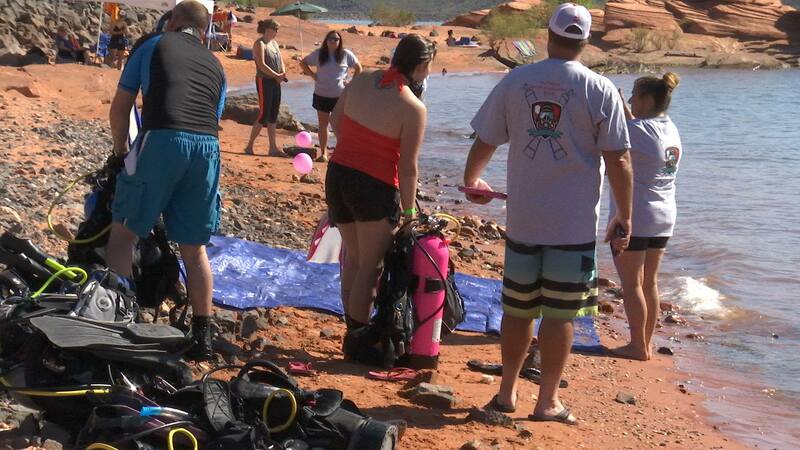 Dixie Divers, the sponsor of the event, provides all of the scuba diving training at no charge. The “222” refers to the 222nd Field Artillery Regiment 2nd Battalion of the Utah National Guard- commonly known as “Southern Utah Pride,” “The Triple Deuce” and “The Golden Boys.” The unit’s heritage can be traced back to 1841 and continued on until their last deployment in 2011. The battalion headquarters is located in Cedar City, with batteries in St. George, Beaver, Fillmore and Richfield. The psychological, emotional and physical toll of war can be immediate, acute, and chronic — even after military veterans return home. The benefits of scuba start when they are in the water but go beyond that as they work in groups during the certification classes, which helps the veterans to integrate back into civilian life. The feeling that comes with being reintegrated into society can motivate veterans to start taking other classes or fulfilling a long lost goal because they feel more confidence and satisfaction, Ashley Arnold, U.S. Army veteran and scuba diving instructor, said. One of the biggest dangers is isolation. “Any chance you can get a veteran out of the house, you are reducing their chance of suicide – hands down,” Arnold said. 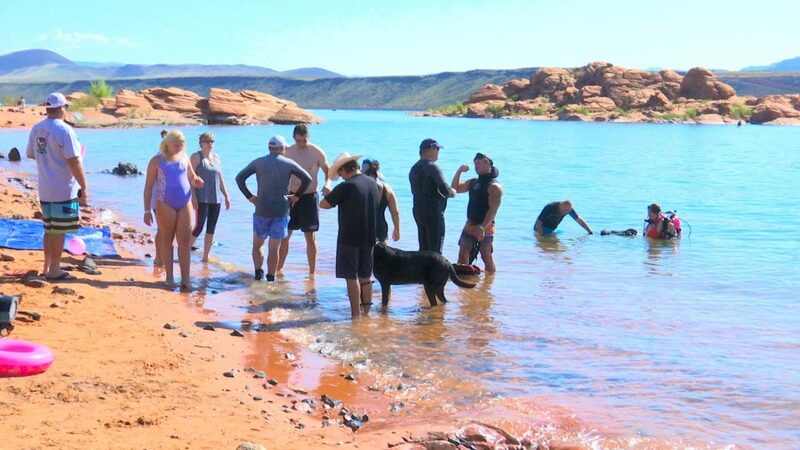 Arnold, a Salt Lake City resident, came to Sand Hollow and participated in Saturday’s event as a master scuba diver trainer with Professional Alliance of Dive Instructors, the organization that certifies dive instructors worldwide. She served in the Army and was deployed to Iraq before serving for six years in the Army National Guard in Tennessee, where she was again deployed to Iraq and Afghanistan in two different deployments. Diagnosed with post-traumatic stress disorder, Arnold said she understands the isolation that can accompany the condition. She has witnessed veterans who appear depressed at the beginning of the scuba training course but within six months are feeling better about themselves, are happier and are enjoying their life again. Outdoor activities provide numerous benefits for veterans, Arnold said, and helping them to get out into the community is one way to bring them back into the world as a healthier human being, particularly for those with PTSD. Scientists from Johns Hopkins University conducted a study that showed up to 80 percent of the symptoms associated with PTSD can improve with scuba diving. In addition, Dr. John Carton, psychology professor and chair of the Behavioral Sciences division at Oglethorpe, recently led an a innovative research project with similar results. The Ultimate Diving Challenge started four years ago through Dive Alliance, a program in Salt Lake City that works with the VA Hospital and helps hundreds of veterans through fundraising, Mackun said. Through the assistance of Dive Alliance, Dixie Divers were able to implement the Ultimate Diver Challenge to help local veterans. 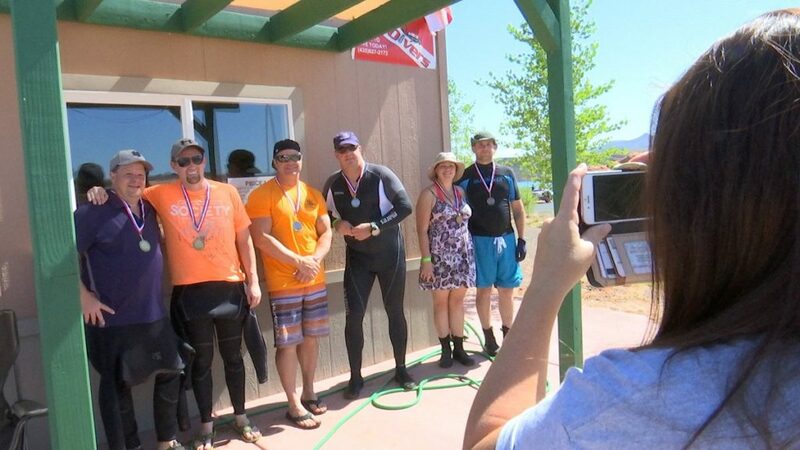 The Ultimate Diver Challenge coincided with the Utah Division of Parks and Recreation’s Military Appreciation Day, which traditionally falls on the second Saturday in August, Sand Hollow State Park Manager Laura Melling said. In addition to supporting veterans, Mackun said, Dixie Divers also supports Washington County’s Search and Rescue efforts when needed by by providing tanks or other equipment when an incident involves an underwater rescue or retrieval. 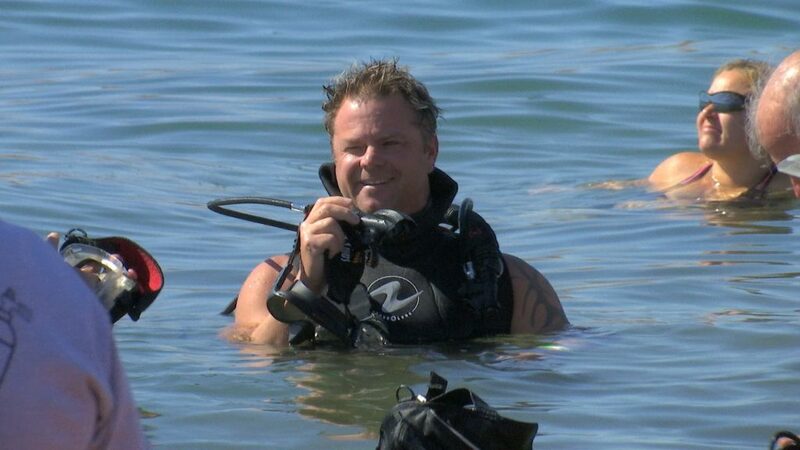 Mackun’s husband, Tony, is a dive instructor who assisted during Saturday’s event. Additionally, Tony Mackun has been a member of the Search and Rescue Dive Team for the past six years. St. George News reporter Cody Blowers contributed to this article.